A California correction officer who said she fell while responding to a fight between inmates at a maximum-security prison, causing her to subsequently lose her child, filed a discrimination lawsuit Tuesday claiming state prison officials wouldn't provide reasonable accommodations when she was pregnant. Sarah Coogle's lawsuit, filed in Kern County Superior Court in Bakersfield, alleges officials at the California Department of Corrections and Rehabilitation would not allow her to take a less strenuous position without taking a pay cut and losing her benefits or going on unpaid leave. A spokeswoman for the state prison system, Vicky Waters, said the agency had not yet been served with a copy of the lawsuit and would not comment further. In January 2017, concerned that she could injure her child if she had to use force to subdue a prisoner, Coogle asked for a position with limited inmate contact — possibly in the prison's accounting or personnel offices — where she wouldn't have to run, she said. But she was told that wasn't possible and she'd have to either take unpaid leave or accept another position with a cut of about two-thirds of her salary and a loss of benefits, she said. "I had to remain in my position and risk my child's life," Coogle said. While working at the California Correctional Institution in Tehachapi in July 2017, Coogle heard an alarm going off in a nearby building. She began running with fellow officers to respond to the potential emergency when she fell on "uneven terrain," she said. After the fall, Coogle was taken to the hospital and had several follow-up visits with doctors and her obstetrician after having abdominal pain. In September, she woke with excruciating abdominal pain and was rushed to the hospital. 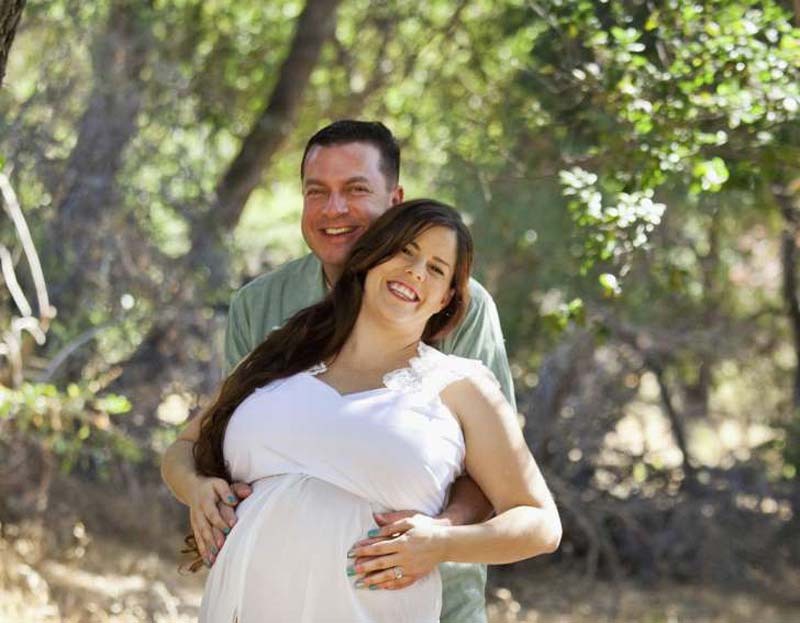 Doctors told her that her unborn child no longer had a heartbeat and "lost her baby due to a placental rupture," Coogle said. "No man has to bring their child to such a dangerous environment," Coogle said in an interview. "I just want to earn my paycheck but protect my child at the same time." In addition to unspecified monetary damages, Coogle is also seeking to change the state prison system's policies, which her attorney says highlights stark gender inequality in the workplace. "It puts women like Sarah in a very terrible situation having to choose between their family and their job," said her attorney, Arnold Peter. "She and her husband are going to have to live with for the rest of their lives."